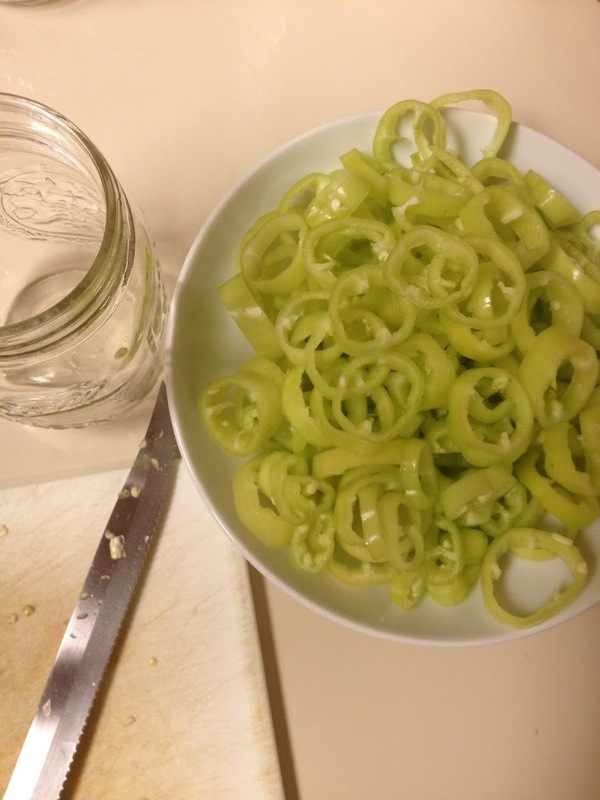 My neighbor’s garden is bulging with banana peppers and before he left for a month long trip, he offered his garden’s bounty to us. Today I dropped in to see what was ripe and was amazed at the quantity of peppers! However, besides slicing them into salads, I didn’t know what else to do with them. 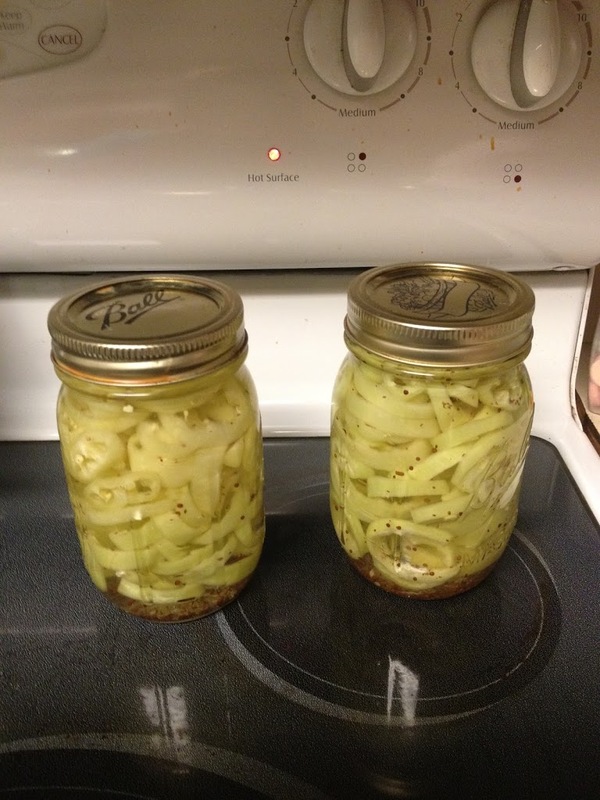 A quick Google search tuned up a recipe for pickled peppers which are supposedly tasty on subs, pizza and sandwiches. The procedure was quite easy and there were only five ingredients. Voila’! We shall see how they taste! He’s got a ton more peppers in his garden. If these are truly as yummy as they sound, I may be doing more.